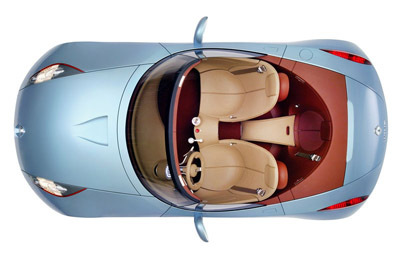 by Patrick le Quément was first seen at the 2004 Geneva Motorshow. 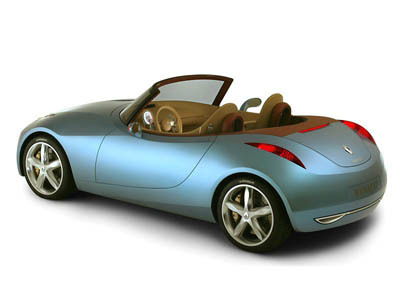 The Wind is a 2+1 roadster as the interior cleverly hides a single central rear seat - although this seat is pretty much reserved for kids and adults with no legs. The most noticeable aspect to the Renault Wind's exterior design are it's flowing, graceful, sculpted lines and simple clean shapes. The slit-like headlights are neatly integrated into the bodywork, and at the rear the taillights to the same thing. The interior of the Wind is moulded around the occupants. The beige leather seats are fixed meaning driver comfort is achieved with an adjustable steering wheel and pedal cluster, these fold away automatically when the door is opened for easier access. Powering the Renault Wind was a 2.0 litre 16 valve engine which produced 136 horsepower and 191 Nm of torque. This was mated to a 6 speed manual transmission. In a car weighing just 850 kgs (1874 lbs) this engine/transmission combo could bring the Wind to 62 mph (100km/h) in 8.5 seconds. Not blisteringly quick, but close enough to compete with the likes of the Mazda MX-5. 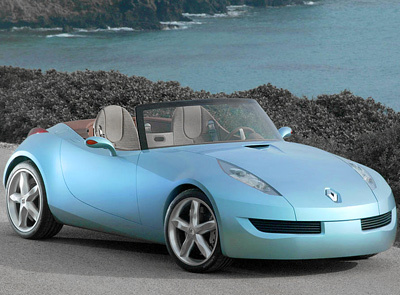 Renault produced the Wind concept to guage the public's opinion of a new compact roadster. Although the Wind proved to be popular with the public, Renault declined to send the car to production - well in this form anyway. 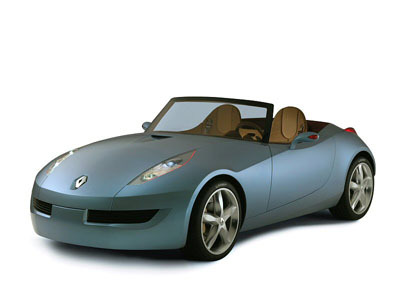 In 2010 Renault unveiled the production version of the Wind. Sadly it bore no resemblance to this concept - which was much, much better looking from almost every angle.